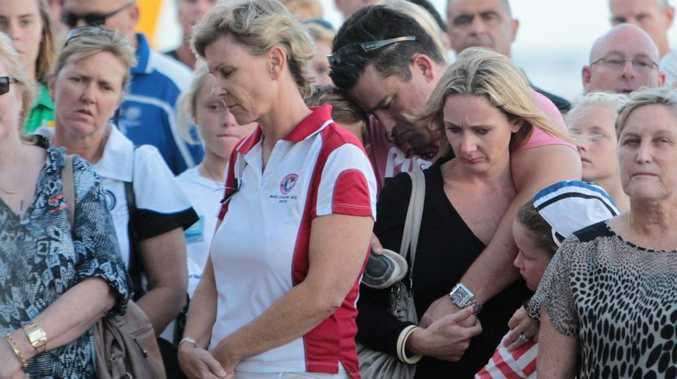 IN THE midst of the deepest despair a father could face, Steve Barclay got up in the rain in front of about 100 of his son's Maroochydore clubmates urging them to "hang in there". 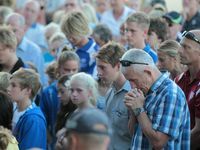 "He was just telling the kids to stay strong, to believe," club president Tim Ryan told the Daily. "It was just a beautiful speech." 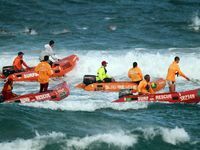 As the youths huddled under tents on Kurrawa Beach on the Gold Coast, Mr Barclay got up on a rescue quad bike to address them as the search for Matthew, 14, continued into Wednesday night. 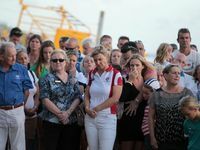 He urged the youth to leave the devastating scene to go to the Broadbeach Surf Lifesaving Club to have some pizza and talk through their trauma. 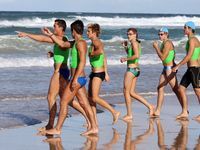 "We are just one big family in surf lifesaving," Mr Ryan said of how the club had united in its darkest hour. "(Steve) has been really strong. I was just amazed by him last night." He said Steve and his wife Donna were surrounded by family as they came to terms with their loss. Lifetime club member Ralph Devlin said Matt had "died doing what he loved". "His parents fully understand that," he said. "They have been very brave. "He was only 14 years of age but he was a beautiful boy... a beautiful, innocent boy. After Matt's body was found about 9am yesterday, Mr Ryan faced the media to read a tribute, describing Matt as one of the club's finest young lifesavers. "All of our hearts go out to Matthew's family, who are such a major part of our club and our community, and all of his team mates. 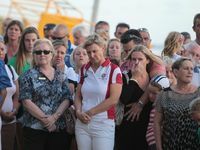 "He was not only one of the club's most outstanding competitors, winning Queensland gold medals and identified as a future champion, but also a fine, upstanding member of our community. "We are a very close-knit family orientated club who compete together, socialise together and today we are grieving together. "The 120 members of our touring team are obviously very affected by this tragic loss of one of our own, but I know Matthew's memory will live on in all our hearts forever. "Matthew loved competition and while he was very successful individually he was also a great young club and team man who we will miss greatly." Mr Ryan said he wanted to particularly thank the Sunshine Coast for its support. 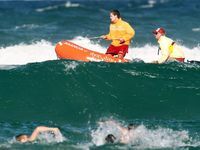 Maroochydore Surf Life Saving Club officials have revealed that Matthew Barclay had completed his first surf rescue only last Sunday. 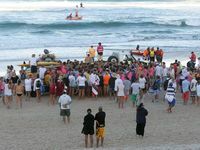 Club president Tim Ryan told the Daily last night that the rescue happened in the surf at Maroochydore Beach. "His mum and dad are so proud of that," he said. "He was quite a guy."